A heavy book-size edition of Ugly Things – a magazine that only comes out quarterly, but is so big that it might take you three months just to get through each issue! 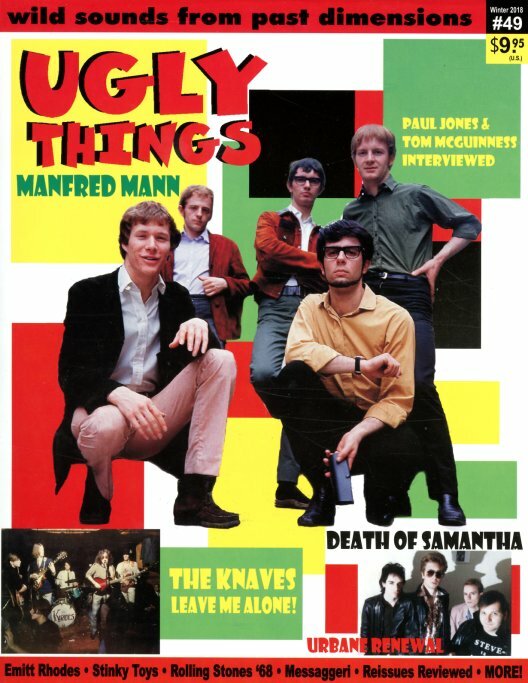 Manfred Mann are on the cover – and the issue also includes interviews with group members Paul Jones and Tom McGuinness – alongside other long features on The Knaves, Death Of Samantha, Urbane Renewal, Emitt Rhodes, Stinky Toys, and the Rolling Stones in 1968. There's also a big section of reissues, reviewed – and lots more too! © 1996-2019, Dusty Groove, Inc.